This list, I presume is for two people, maybe code named D and W? There is some mixture of upper and lower case writing and the common grocer’s apostrophe. 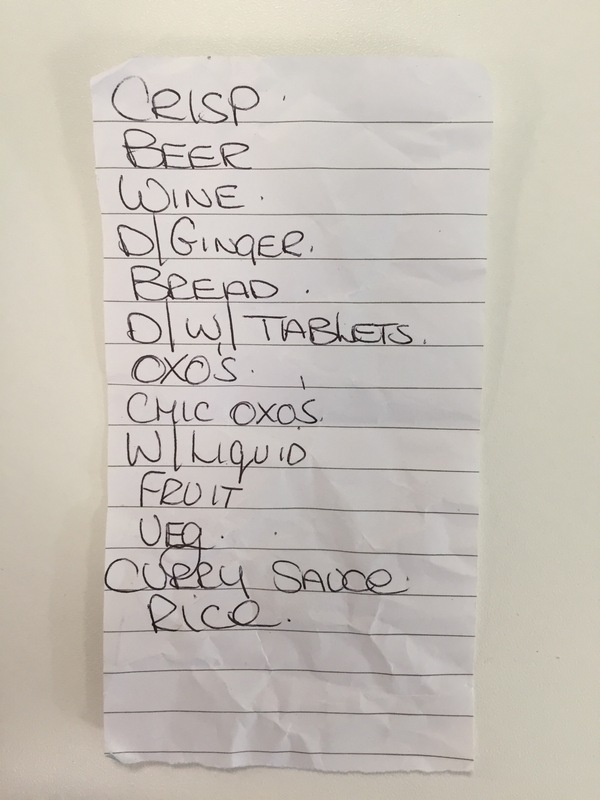 Crisps, beer, wine, D|ginger, bread, D|W|Tablets, oxo’s, chicken oxo’s, washing liquid, fruit, veg, curry sauce, rice. Yes, you may have a point. Dried ginger? I don’t trust someone who only buys 1 crisp. Buy the whole bag, for crying out loud. 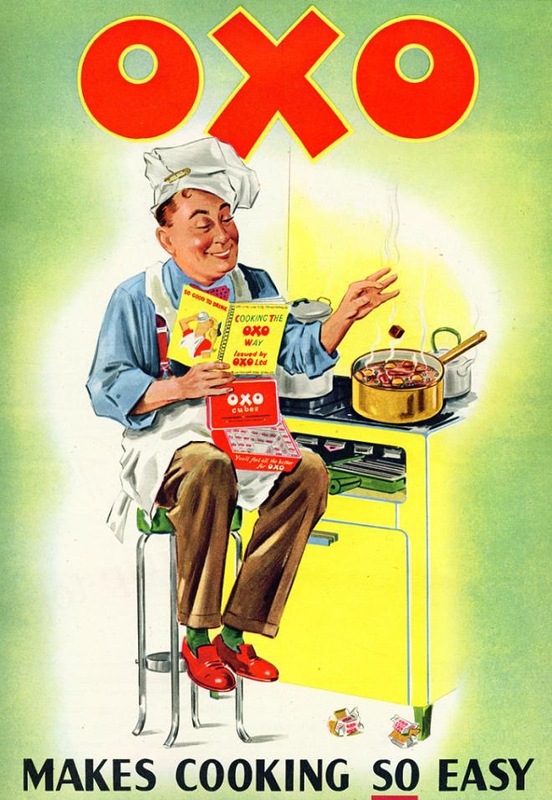 And……the 64 million dollar question……..what is an OXO? I have updated the post with a useful picture to answer the Oxo question. Aha! A type of bouillon! Thank you.